EDocGen is the fastest and simplest document creator software for creating business documents. It supports bulk, on-demand, and interactive MSWord and PDF document generation. Business users can dynamically populates text, tables, images, hyperlinks, paragraphs, and reusable content blocks into existing Word and PDF templates for creation of proposals, invoices, loan documents, etc. Create bulk documents by merging Excel, XML and JSON data into document templates. Say goodbye to tedious limited functionality mail merge. Merge vertical & horizontal orientation of excel data into Word and PDF templates for PDF and Word document generation. Vertical Mail Merge: Supports population of vertically aligned Excel data into a template. This is useful when you have a large number of computations in your excel sheet. The calculations are mostly vertically oriented for ease of performing them. Horizontal Mail Merge: Offers a number of advantages over regular mail merge. They include support for complex templates, format retention, multi-tables, lists, etc. Almost all databases allow you to export database data in JSON format. EDocGen is the perfect solution to auto-fill JSON data into document templates. Using EDocGen online document creator convert JSON file to Word and PDF documents. Just upload JSON array and map the template's dynamic fields to JSON elements thus creating documents without any data transformation. It supports the population of nested tables for up to 4-level JSON data. XML is the universal standard for data interchange and often times you find need to merge XML data into the document template. EDocGen is the easiest way to merge your XML data into Word/PDF template for creating brand compliant MSWord and PDF documents. EDocGen document creator auto-creates fillable forms out of your DOCX and PDF templates. 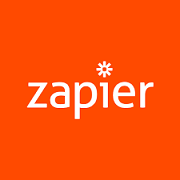 Create document 80% faster by filling this data capture form. There is an option to partially filled documents as drafts. Publish them later after filling all mandatory fields. Connect to thousands of applications and databases to auto-generate documents from them for user actions. EDocGen document creator is API first product and offers a well-developed API. 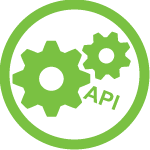 The REST API uses a subset of the ODATA specification. ODATA is an HTTP-based REST API, with standards for how to describe objects and actions. Integrate with in-house applications and databases for on-demand documents creation. Thus you can use it in your work-flows for automating document creation in response to customer/employee actions.